Sponsors & Bank Staff in attendance at the ‘Walk for the Cure’ funds handover ceremony. The Grenada Cancer Society got a much-needed boost to its coffers with a recent donation of EC$37,330 from a regional bank. 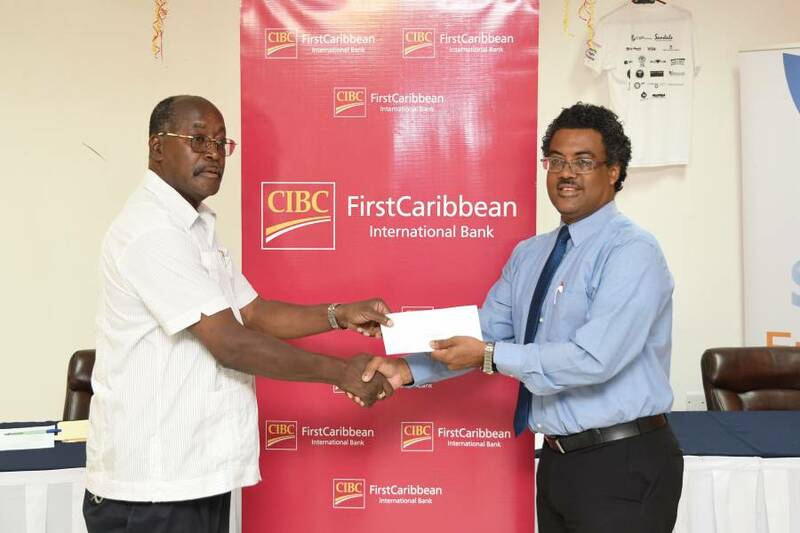 The funds were raised as part of CIBC FirstCaribbean’s annual cancer fundraiser Walk for the Cure which as held on Saturday, 29 October 2016, and attracted approximately 300 persons in Grenada, in a show of support for this regional cancer awareness initiative. The generosity of 19 corporate sponsors coupled with various fundraising activities by staff accounted for the thousands raised. 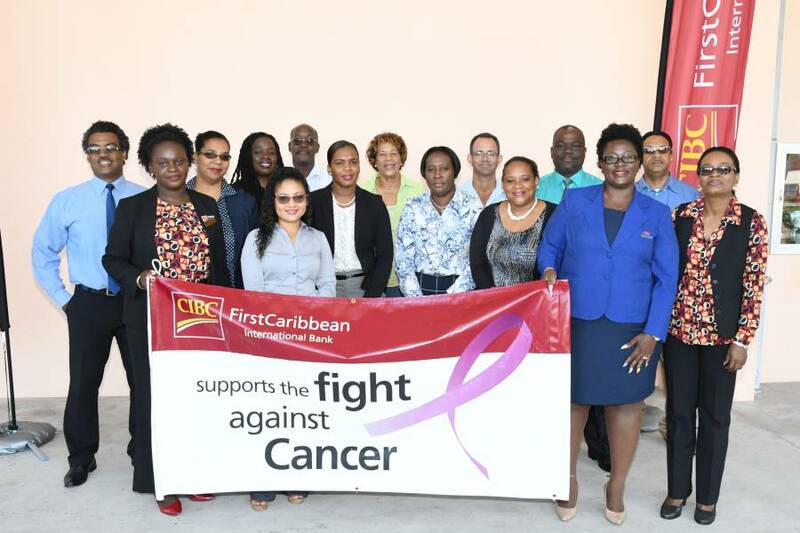 Walk for the Cure follows in the footsteps of CIBC FirstCaribbean’s parent company, which hosts Run for the Cure in Canada. Since its inception in 2012, over EC$4 million has been raised to regionally to raise awareness about the importance of early testing and detection as well as offering support to cancer survivors and their families. During the brief hand-over ceremony at the National Stadium, Country Manager, Nigel Ollivierre presented a cheque for the funds to the President of the Grenada Cancer Society, Dr Barrymore McBarnette. He expressed the wish that the authorities and stakeholders see the need to take more action to address the gravity of the situation. “Many persons may not take immediate action to seek medical attention,” he said, “some persons will walk around with a lump in the breast, choosing to pray about it or look elsewhere for help and then finally coming to the hospital when all else fails, by which time the possibility of a cure or improvement might just be too late,” he added. Mr Ollivierre closed the brief ceremony by reiterating that CIBC FirstCaribbean International Bank was a committed corporate citizen, which strongly believed that involvement in their local communities was a critical component of the bank’s core values. He said the 6th Annual Walk for the Cure is expected to be launched in March/April 2017, with the walk itself set to take place in October 2017.